Nashville, Tenn. (September 5, 2018) — Due to high demand and packed out shows, country music legend TG Sheppard has extended his 2018 "Party Time" tour into the fall and winter months. Naming the tour after his No. 1 hit "Party Time," the recording artist will make stops in Indiana, Minnesota, Texas, Missouri, Florida, South Carolina, Louisiana and Ohio — keeping the festivities alive across the country. "There's nothing greater than looking out from the stage and seeing larger crowds that sing along to every song," explains Sheppard. "The age group of today's crowds who love country music is so varied. It's an exciting time to be touring!" Ranked as one of the Top 100 Country Artists of All Time by Billboard, the chart-topper is taking his 21 No. 1 hits out of the road such as "I Loved 'Em Every One," "Last Cheaters Waltz," "Devil in the Bottle," "Only One You," of course, "Party Time," and many more. Seeing a resurgence in the popularity of traditional country music, Sheppard, who's been touring for more than 40 years, has seen a dramatic change in his key demographic with his show audience members becoming younger and younger with each year and still knowing all the words to his songs. Additional tour dates will be announced via Sheppard's website in the coming weeks. TG Sheppard is booked exclusively by Carrie Moore-Reed at Third Coast Talent. For live concert booking inquiries, contact Moore at carrie@thirdcoasttalent.com / (615) 685-3331. TG Sheppard has always had an unstoppable passion for music. That passion, combined with a steadfast dedication to entertainment, has made him one of the most popular live performers in country music today. With 21 #1 hit songs, his live concerts are chock full of his chart-topping tunes like "Last Cheater's Waltz", "I Loved 'Em Every One," and "Do You Wanna Go To Heaven." With more than 40 years of show business under his belt, it's only natural that Sheppard has developed a reputation as a solid performer who delivers exactly what audiences want. All this and more, combined with a steadfast commitment to entertainment, has truly made him one of the great legends in country music. 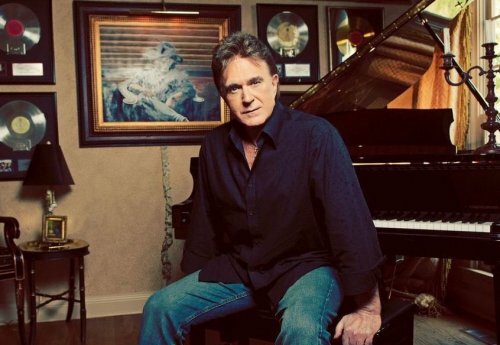 @TGSheppardmusic extends 2018 "Party Time" tour!